﻿ Suzhou Industrial Park HJ Clean Tech. Co., Ltd.
Suzhou Industrial Park HJ Clean Tech. Co., Ltd.
We dedicate ourselves to consulting, researching and design, manufacture and supporting service on clean room technical. Introduction of HJClean Tech Co.;Ltd.
HJClean Tech Co.Ltd., has established in Suzhou where the city is famous of clean room line since 2003. We dedicate ourselves to consulting, researching and design, manufacture and supporting service on clean room technical. Our company owns advanced technology and stronger power on scientific research capabilities . The products what we do includes cleaning equipments,airborne particle monitor, clean room project design and construct etc. And our products are widely used in electron factory, pharmacy factory, precise machinery line and space flight line . Until now we have owned15 corprights in the airborne particle monitoring field and the copyrights have been used in respective projects over the world. 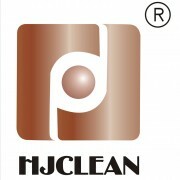 l There is a professional team in Hjclean-tech,leads by 10 senior engineers and senior mechanic.